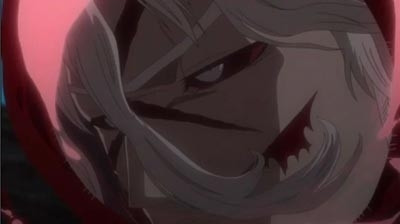 [show all]The battle between Ichigo and Ginjo comes to a close when the latter receives a mortal wound. Just as Ginjo is about to die, Tsukishima tries to kill Ichigo but is stopped by Riruka. Tsukishima is later rescued by Shishigawara while the surviving Xcution members decide to separate. Ichigo later returns to Soul Society and requests that Head Captain Yamamoto let Ginjo's body be buried within the human world as the last thing he can do for him. Yamamoto agrees just as Ichigo accepts to continue being a Substitue Soul Reaper. Rukia see Ichigo off, recalling their time together and silently thanks him. Ichigo smiles and tells Rukia "See ya later" before returning to Karakura Town where he is greeted by his friends and family. I wish they had done the rest of the Manga. The Quincy Rebellion finale is quite interesting, enough so that thing seem to be answered... lost questions every fan had.. finally being explained.. sort of.